Sweet tarts have fillings of fruit, jams, custards, flavored creams, or nuts. Tarts distinguish themselves by their fillings; beautifully glazed berries Fruit Tart concentrically placed on top of a sweet custard filling (Pastry Cream), or artfully arranged sliced apples on an almond frangipane-lined pate brisee (Apple Frangipane Tart). A tart is a pastry dish, usually sweet, with an open top not covered with pastry. Choosing: These days, there are ready to eat tarts that you can buy, if you find yourself buying one make sure to look for the expiration date. I prefer buying ones with transparent packaging where I can get a good look inside to see and check if there's any sign of molds buildup. Check also the weight of the tarts you are buying, do not buy light ones or those that doesn't match its size, it means that the tart is somehow not stuffed properly. Buying: You can buy ready Tarts on your local bakery store or your nearest grocery or supermarket. There are also online Tart sellers that can deliver specific numbers of tarts on your doorstep with a little extra charge. History: Pies and tarts differ in that while pie was a commoner’s sort of fare, a way of recycling offal and table scraps for later consumption (call it Medieval Tupperware), tarts were the stuff of high cuisine. Which is to say, they were extremely popular among the nobility. Court cooks employed tarts not so much for their taste but because of their looks. 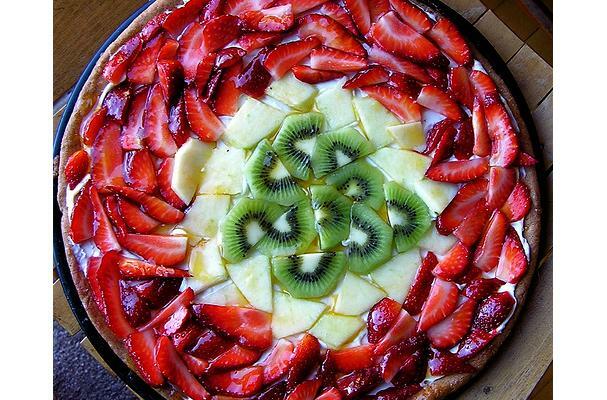 Often custard-based, a large, open tart presented a broad canvass upon which an artistic chef might compose a work of edible art. Thus brightly-colored fruits, vegetables and spices all found their way into (onto) them. They could be sweet, savory, or more often than not, a mixture of both.